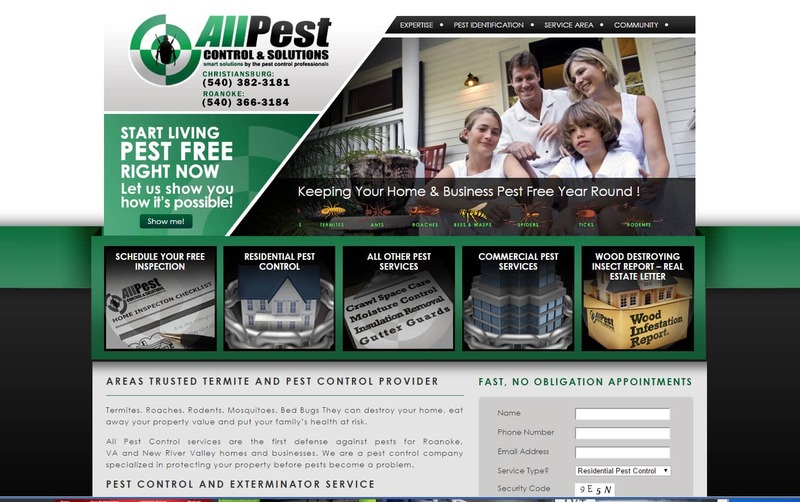 Website design Christiansburg VA | This is a custom designed Word Press web site for All Pest located in the New Delaware Valley of VA. It features advanced image scrolling and a call-to-action pest info center. The home page features graphics of pests scrolling horizontally linked to interior pages. VISIONEFX provides the finest in Web Design for Business and Web Design in Virginia to companies and small business throughout the state of Virginia. Searching ‘Website design Christiansburg VA’ find the web design professionals at VISIONEFX.